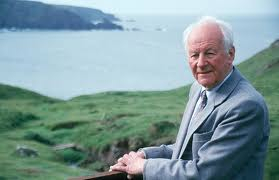 John R. W. Stott has emerged in the last half of the twentieth century as one of the leading evangelical preachers in the world. His ministry has spanned decades and continents, combining his missionary zeal with the timeless message of the Gospel. For many years the Rector of All Souls Church, Langham Place, in London, Stott is also the founder and director of the London Institute for Contemporary Christianity. His preaching ministry stands as a model of the effective communication of biblical truth to secular men and women. 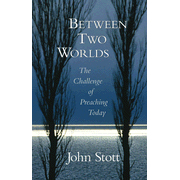 The author of several worthy books, Stott is perhaps best known in the United States through his involvement with the URBANA conferences. His voice and pen have been among the most determinative forces in the development of the contemporary evangelical movement in the Church of England and throughout the world. Preaching Associate Editor R. Albert Mohler interviewed Stott during one of the British preacher’s frequent visits to the United States. Mohler: You have staked your ministry on biblical preaching and have established a world-wide reputation for the effective communication of the gospel. How do you define ‘biblical preaching’? Stott: I believe that to preach or to expound the scripture is to open up the inspired text with such faithfulness and sensitivity that God’s voice is heard and His people obey Him. I gave that definition at the Congress on Biblical Exposition and I stand by it, but let me expand a moment. My definition deliberately includes several implications concerning the scripture. First, it is a uniquely inspired text. Second, the scripture must be opened up. It comes to us partially closed, with problems which must be opened up. Beyond this, we must expound it with faithfulness and sensitivity. Faithfulness relates to the scripture itself. Sensitivity relates to the modern world. The preacher must give careful attention to both. We must always be faithful to the text, and yet ever sensitive to the modern world and its concerns and needs. When this happens the preacher can come with two expectations. First, that God’s voice is heard because He speaks through what He has spoken. Second, that His people will obey Him – that they will respond to His Word as it is preached. We are now coming out of an era in which preaching was thought less and less relevant to the church and its world. Even in those days you were outspoken in your affirmation of the preaching event and its centrality. Has your mind changed? Stott: To the contrary! I still believe that preaching is the key to the renewal of the church. I am an impenitent believer in the power of preaching. I know all the arguments against it: that the television age has rendered it useless; that we are a spectator generation; that people are bored with the spoken word, disenchanted with any communication by spoken words alone. All these things are said these days. Nevertheless, when a man of God stands before the people of God with the Word of God in his hand and the Spirit of God in his heart, you have a unique opportunity for communication. I fully agree with Martyn Lloyd-Jones that the decadent periods in the history of the church have always been those periods marked by preaching in decline. That is a negative statement. The positive counterpart is that churches grow to maturity when the Word of God is faithfully and sensitively expounded to them. If it is true that a human being cannot live by bread only, but by every word which proceeds out of the mouth of God, then it also is true of churches. Churches live, grow, and thrive in response to the Word of God. I have seen congregations come alive by the faithful and systematic unfolding of the Word of God. Mohler: You have pictured the great challenge of preaching as creating a bridge between two worlds – the world of the biblical text and the world of the contemporary hearer. That chasm seems ever more imposing in the modern world. How can the preacher really bridge that chasm? Stott: Any bridge, if it is to be effective, must be firmly grounded on both sides of the canyon. To build a bridge between the modern world and the biblical world we must first be careful students of both. We must be ever engaged in careful biblical exegesis, conscientiously and continually, and yet also involved in careful study of the contemporary context. Only this will allow us to relate one to the other. That is my major quarrel with the existentialists, who say that the text means what it means to me – the reader – independent of what the author meant. We must say “no” to that. A text means primarily what its author meant. It is the author who establishes the meaning of the text. Beyond that, we must accept the discipline of grammatical and historical exegesis, of thinking ourselves back into the historical, geographical, cultural, and social situation in which the author was writing. We must do this to understand what the text means. It cannot be neglected. The second question moves us from the original meaning of the text to its contemporary message – “What does it say?” If we ask the first question without asking the second, we lapse into antiquarianism, unrelated to modern reality. On the other hand, if we leap to the second question, “What does it say today?,” we lapse into existentialism, unrelated to the reality of biblical revelation. We have to relate the past revelation of God to the present reality of the modern world. Mohler: That requires a double exegesis – an exegesis of the text and also an exegesis of life. Is it your opinion that most evangelicals are better exegetes of the text than they are of life? The attractiveness of liberal or radical preaching, whatever it is called these days, is that it tends to be done by genuinely modern people who live in the modern world, understand it, and relate to it. But their message often does not come from the Bible. Their message is never rooted in the textual side of the chasm. We must combine the two relevant questions. Mohler: Most of us think of ourselves as modern persons, and yet we may lack a suitable hermeneutic of the contemporary. What have you found to be helpful as you seek to be a better student of the contemporary world? Stott: I mentioned in Between Two Worlds how very helpful I found involvement in a reading group I founded about fifteen years ago. They are graduates and professional people – doctors, an architect, an attorney, teachers and so on. All are committed to Christ and the Scripture and yet anxious to be modern and contemporary people. We meet every month or so when I am in London. We decide to read a particular book, or see a particular play or exhibition, and spend the evening discussing it. We give most attention to books. We go around the circle and give our immediate impression before eventually turning and asking “Now, what has the Gospel to say to this?” I have found it enormously helpful to be forced to think biblically about modern issues. Mohler: So you would point biblical preachers not only to the biblical text, but to a very wide reading? Stott: Absolutely. I think wide reading is essential. We need to listen to modern men and women and read what they are writing. We need to go to the movies, to watch television, to go to the theater. The modern screen and stage are mirrors of the modern world. I seldom go on my own. I go with friends committed to the same kind of careful understanding. Mohler: You have made it clear that you see preaching as a glorious calling and vocation. What do you see as the greatest contemporary need in preaching? Where is biblical preaching falling tragically short? Stott: Well, in the more liberal churches, it falls woefully short of being fully biblical. Amongst the evangelical churches it falls short by being less than fully contemporary. I can only repeat the great need of struggling to understand the issues of the modern world. Nevertheless, there is a tremendous correlation between the issues of the biblical world and the modern world. People are actively seeking the very answers Jesus provides. People are asking the very questions Jesus can answer, if only we understand the questions the world is asking. Mohler: Your service over many years at All Souls Church in London had a tremendous impact throughout much of the world. There, in the midst of London’s busiest retail area, you presented the gospel with great effectiveness and power. Did your preaching change at all during your ministry at All Souls? Stott: I began with a very strong commitment to Scripture, a very high view of its authority and inspiration. I have always loved the Word of God – ever since I was converted. Therefore, I have always sought to exercise an expository or exegetical ministry. In my early days I used to think that my business was to expound and exegete the text; I am afraid I left the application to the Holy Spirit. It is amazing how you can conceal your laziness with a little pious phraseology! The Holy Spirit certainly can and does apply the Word for the people. But it is wrong to deny our own responsibility in the application of the Word. All great preachers understand this. They focus on the conclusion, on the application of the text. This is what the Puritans called “preaching through to the heart.” This is how my own preaching has changed. I have learned to add application to exposition – and this is the bridge-building across the chasm. Mohler: You have recently published a major volume on the cross [The Cross of Christ, InterVarsity Press, 1986]. This has always been central to your preaching – and all genuinely Christian preaching. Do you perceive an inadequate focus on the cross in the pulpit today? Stott: Indeed, so far as I can see, it is inadequate. I think we need to get back to the fact that the cross is the center of biblical Christianity. We must not allow those on the one hand to put the incarnation as primary, nor can we allow those on the other hand to put the primary focus on the resurrection. Of course, the cross, the incarnation, and the resurrection belong together. There could have been no atonement without the incarnation or without the resurrection. The incarnation prepares for the atonement and the resurrection endorses the atonement, so they belong always together. Yet the New Testament is very clear that the cross stands at the center. It worries me that some evangelicals do not focus on Christ crucified as the center. Of course, we preach the whole of biblical religion, but with the cross as central. One of the surprises which came as a product of the research for the book was the discovery that most books on the cross focus only on the atonement. There is much the New Testament has to say about the cross which is not focused on the atonement. We are told, for example, to take up our cross and follow Christ. Communion is a cross-centered festival. There is the whole question of balance in the modern world. The problems of suffering and self-image are addressed by the cross. These issues appear quite differently when our world-view is dominated by the cross. Mohler: You are probably as well known in America as in England. Furthermore, you know America – its churches and its preachers. What would be your word to the Servants of the Word on this side of the Atlantic? Stott: I think my main word to American preachers is, as Stephen Olford has often said, that we belong in a study, not in an office. The symbol of our ministry is a Bible – not a telephone. We are ministers of the Word, not administrators, and we need to relearn the question of priority in every generation. The Apostles were in danger of being diverted from the ministry to which they had been called by Jesus – the ministry of Word and prayer. They were almost diverted into a social ministry for squabbling widows. Now both are important, and both are ministries, but the Apostles had been called to the ministry of the Word and not the ministry of tables. They had to delegate the ministry of the tables to other servants. We are not Apostles, but there is the work of teaching that has come to us in the unfolding of the apostolic message of the New Testament. This is our priority as pastors and preachers. Jesus preached to the crowds, to the group, and to the individual. He had the masses, the disciples, and individuals coming to Him. He preached to crowds, taught the disciples, and counseled individuals. We must also have this focus. It is all in the ministry of the Word. Adapted from R. Albert Mohler Jr.’s weblog at www.albertmohler.com. 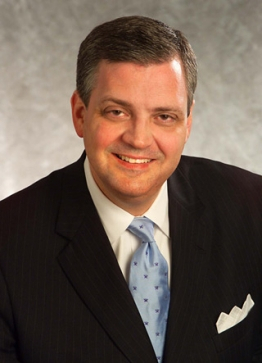 R. Albert Mohler, Jr. is president of The Southern Baptist Theological Seminary in Louisville, Kentucky. For more articles and resources by Dr. Mohler, and for information on The Albert Mohler Program, a daily national radio program broadcast on the Salem Radio Network, go to www.albertmohler.com. For information on The Southern Baptist Theological Seminary, go to www.sbts.edu. Send feedback to mail@albertmohler.com. Original Source: www.albertmohler.com. Tags: Albert Mohler, Between Two Worlds, Expository Preaching defined by John Stott, How to Preach Biblically by John Stott, John R. W. Stott, John Stott, Mohler interviews Stott, Questions to ask of the biblical text, R. Albert Mohler with John Stott, Stott, Stott on Bible Study, Stott on preaching, Stott on questions to ask of the Biblical text, What is Biblical preaching?